Please note the change in time and location of this event! The United Nations’ human rights treaty bodies monitor the health of human rights protections around the world. They are the bodies that advocate for individuals when national courts fail to protect you and when your human rights are denied. In partnership with Oxford University Press United Nations Human Rights Law Reports, Hertie School students report on individuals’ legal struggles for their human rights before the United Nations Treaty Bodies. Their work covers access to justice, torture, non-refoulement, discrimination based on gender and disability, and freedom of expression cases from all continents. Join the Hertie School student human rights reporters as they present about UN Human Rights Committees and look specifically at cases of non-refoulement and its connection to risks faced by failed asylum seekers. Together with guest speaker Rupert Skilbeck, Director of Redress, and Hertie School Professor Başak Çalı, they will discuss what UN human rights cases tell us about the health of human rights around the world today and what value an individual human rights case against the state has to advance human rights protections. This project was inspired by the Reporting Human Rights Cases course taught by Professor Çalı in Spring 2018. 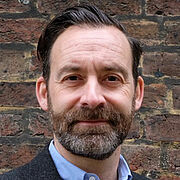 Rupert Skilbeck became the Director of REDRESS on 1 February 2018. Before joining REDRESS, he was the Litigation Director at the Open Society Justice Initiative, where he oversaw human rights litigation in more than 100 cases including torture, deaths in custody, discrimination, fair trial rights, corruption, national security, and international criminal law. Prior to this, Skilbeck worked with international and hybrid criminal tribunals in Cambodia, Bosnia and Herzegovina, and Sierra Leone. In 2006, he was appointed by the United Nations as the Principal Defender for the Extraordinary Chambers in the Courts of Cambodia. 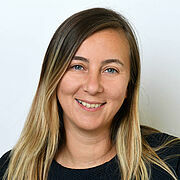 Başak Çalı is Professor of International Law at the Hertie School of Governance and Director of the Center for Global Public Law at Koç University, Istanbul. Her research interests are international law, human rights law, and the prospects of global public law in a multi-level legal order. Çalı is the Secretary General of the European Society of International Law, Editor-in-Chief of Oxford University Press United Nations Human Rights Case-Law Reports, a Fellow of the Human Rights Centre of the University of Essex and a Senior Research Fellow at the Pluricourts Centre at the University of Oslo. In cooperation with Oxford University Press.